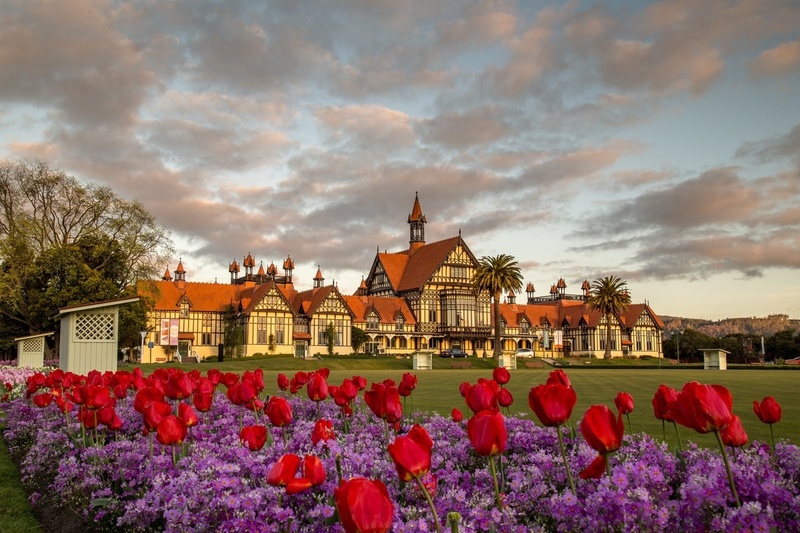 Here at Destination Rotorua we know the best spots, what to see, where to go and what to do, so get in touch for advice and assistance. We can also arrange familiarisations, itineraries, imagery, video, story angle suggestions, the latest news and great interview talent. Take a look around our site and for more information or assistance, get in touch with the marketing team. Celebrate NZ Dance Week in Rotorua! Whether you’re a dance aficionado, like to shake it at weddings and family gatherings, or have never even set foot in a dance studio; this programme of free dance/movement workshops has something for all ages and abilities. Head to the Lakes Performing Arts Company Studios and get a taste of an eclectic mix of dance forms - from musical theatre to ballet, ballet to jazz, jazz to salsa, salsa to hip hop + much more! This is an excellent opportunity to learn a few new steps and perhaps discover your newest passion. All classes are aimed at a beginner level but all abilities are welcome to join! Registrations recommended but not required. Registrations via EVENTBRITE. For more information contact Leah on info@danz.org.nz or Ph: 04 802 0533 9-10AM Pre-School Dance / Ages 2-5 (Studio One) 10-11AM Junior Hip Hop / Ages 5-8 (Studio One) Adult Variety Class / Ages 14+ (Studio Two) Junior Ballet / Ages 5-7 (Studio Three) 11AM-12PM Senior Hip Hop / Ages 14+ (Studio One) Mixed Ability Movement Class / All Ages (Studio Two) Junior Jazz / Ahes 5-8 (Studio Three) 12-1PM Zumba / All Ages (Studio One) Open Lyrical / Ages 5 (Studio Two) Intermediate Jazz / Ages 9-13 (Studio Three) 1-2PM Hip Hop / Ages 9-13 (Studio One) Senior Jazz / Ages 14+ (Studio Two) Musical Theatre / All Ages (Studio Three) 2-3PM Salsa / All Ages (Studio One) Adult Ballet / Ages 16+ (Studio Two) Mini Mover Jazz / Ages 4-5 (Studio Three) Presented by Dance Aotearoa New Zealand & Lakes Performing Arts Company, supported by Sport New Zealand & Creative New Zealand. Rhian Wood-Hill is retouring his Critically acclaimed show "How I met My Father" This time with a twist. A very stupid twist but a twit. Wood-Hill will be walking to each gig in the goal of raising money and awareness for Lifeline NZ. Walking 500 miles to end up at the Proclaimers concert. 50% of all ticket sales will be directly donated to Lifeline NZ. Rhian knew just a few things about his father growing up: He was a criminal, he was charming, he was good looking, and Samoan. Being raised in Temuka, Rhian didn't have many reference points to his Samoan identity, and life experience suggests he lacks most of his father's other qualities. With a perfect balance of comedy and drama, wild anecdotes and down-to-earth moments, How I Met My Father is both honest and hilarious: An hour where you are invited to laugh wholeheartedly at someone else’s misfortune.